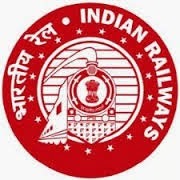 Kolkata Mumbai, Patna, Delhi, Allahabad and Gorakhpur has conducted written exam for RRC Group D, Track Man, Today RRC Group D Key Paper. RRC was released a recruitment notification to recruit group D jobs. Candidates who have completed their written exam they are waiting for key paper. Here i am sharing Answer Key Papers. Below are details of Solution of Group D Question Paper. But This is not official Key. These key papers collected from Eenadu and Sakshi Education and other sources. RRC Group D Written Exam Answer Key Paper 2014, 2nd November 2014 RRc Key Paper PDF Download. Morning Session, Evening Session Key Paper, Booklet A,B,C,D Keys. Download Below. Note: This key paper is Not Official just for Candidate's Knowledge..